Ryan, age 13, and Heron, age 10, are a dynamic duo. These pair of brothers have different personalities that bring out the best in each other. Ryan is shy and quiet while his younger brother, Heron, is talkative and loud! The boys love sports and both dream of being professional sports players. While Heron is rooting for his favorite soccer team, Ryan will be cheering for his favorite football and baseball teams. The boys are an adorable pair that want a family who can cheer them on! Ryan takes on the role of the older brother and has a reserved and serious demeanor. Ryan’s shyness reflects his sincerity and desire to develop trust with a family. Ryan can be found skateboarding around and Heron can be found at the pool, at the park, or running around at summer camp. Heron has a beautiful smile that lights up any room. His ambitions include being a professional soccer player or even fighting bad guys as a policeman! Both boys are active and energetic who dream of playing sports and love action packed super hero movies. The boys need a host family that can teach them the skills they need to maintain stable relationships with each other and the important people in their lives. Can you be the host family they need? 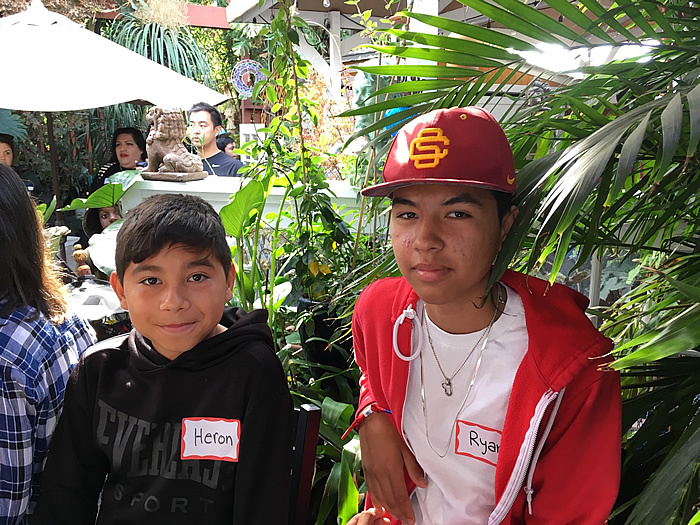 Help Ryan and Heron find a host family, share their Advocacy Flyer.